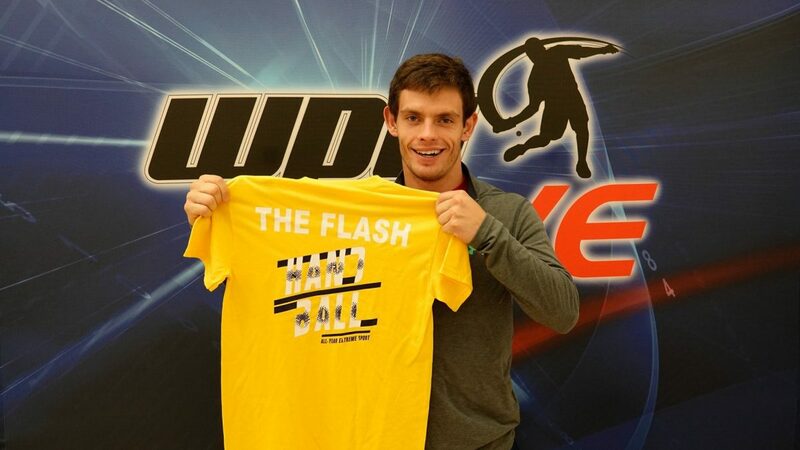 Killian Carroll is amassing a wide array of jerseys during his handball travels. With the WPH, however, those jerseys are Yellow, as the WPH uses that color to signify the “winning player” in all professional pro stops. Well, Carroll now adds another to his list as he gathers another jersey for his 2017/18 season debut win in Atlanta, GA.
WPH awards the yellow for winners of the pro divisions and will often times add yellows on special occasions. “We gave the film crew yellow jerseys at the Memorial for their exceptional work and one time before that a tournament director was working hard, so he got one for his efforts,” Vincent explains.